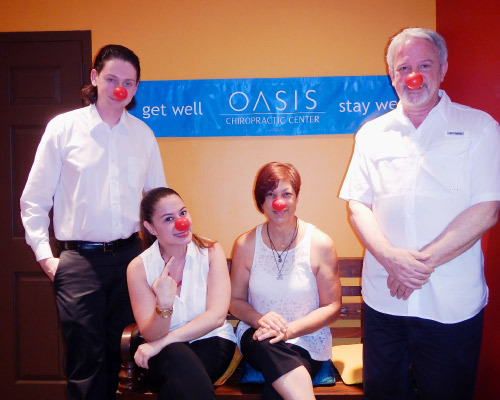 Our whole staff wore a red nose in tribute of “Red Nose Day.” Our team also encouraged patients to show their support for Comic Relief for a good cause by picking up Red Nose Day merchandise, and one of the official Red Noses. Red Nose Day is on a mission to lift kids out of poverty and has raised over $1 billion globally in the last 25 years. generously to community organizations and charitable causes. that we’ve had the honor to contribute to. Please click on the image of the pdf below to open a larger version. If you are a corporate representative and would like more information about the donations and resources Oasis Chiropractic Center offers, please contact our office directly at 305-374-5866. The kindness and generosity of our patients never seizes to amaze me. We’ve collected over 300+ toys for the Salvation Army Angel Tree. 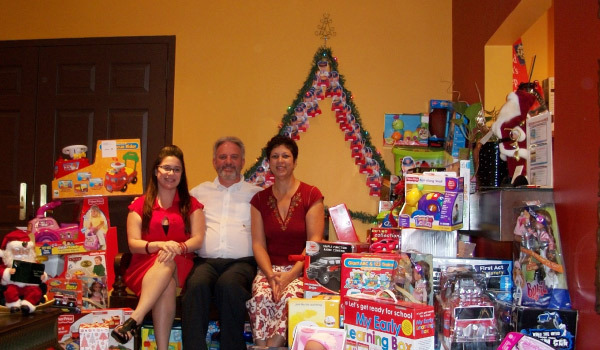 The program provides gifts to children who, due to financial hardship, may not otherwise receive a Christmas gift.